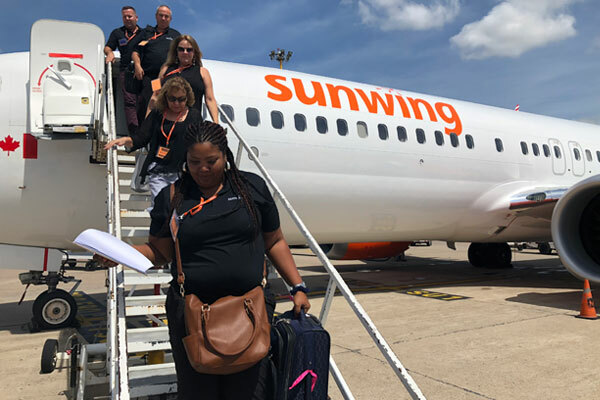 Sunwing received a royal welcome yesterday (Oct. 11) as it marked its return to Mazatlan, Mexico, hosting nearly 160 agents on a four-day fam. 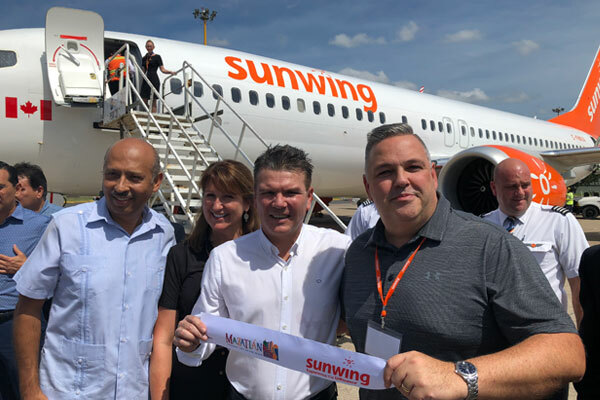 New for Sunwing this year is direct service from Montreal to Mazatlan, along with seasonal weekly flights from Toronto, Winnipeg, Regina and Saskatoon. 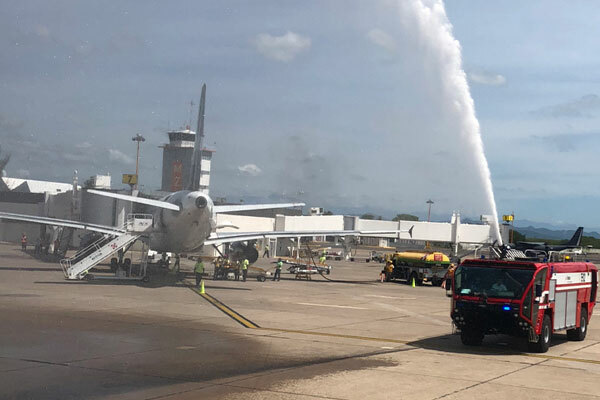 It was also the first time Sunwing flew its new Boeing 737 MAX 8 to the destination. Pictured following a ceremonial ribbon cutting upon arrival is Andrew Dawson (r), chief operating officer for the Sunwing Travel Group, along with Julio Birrueta (l), director, Mazatlan Tourist Board, Deana Murphy, Sunwing vice-president of sales, and Oscar Perez Barros, Secretary of Tourism for the state of Sinaloa.